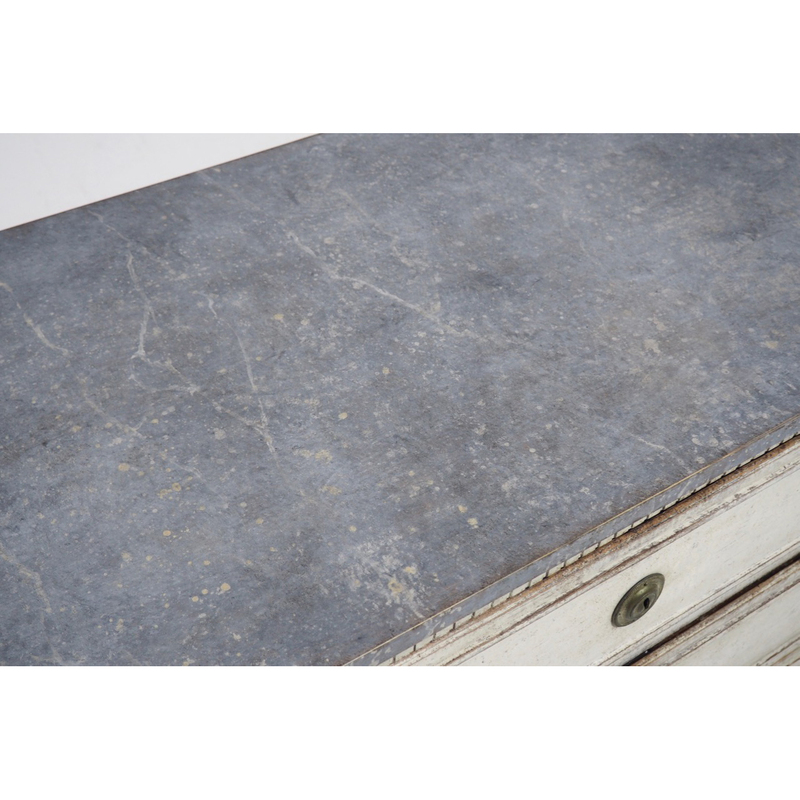 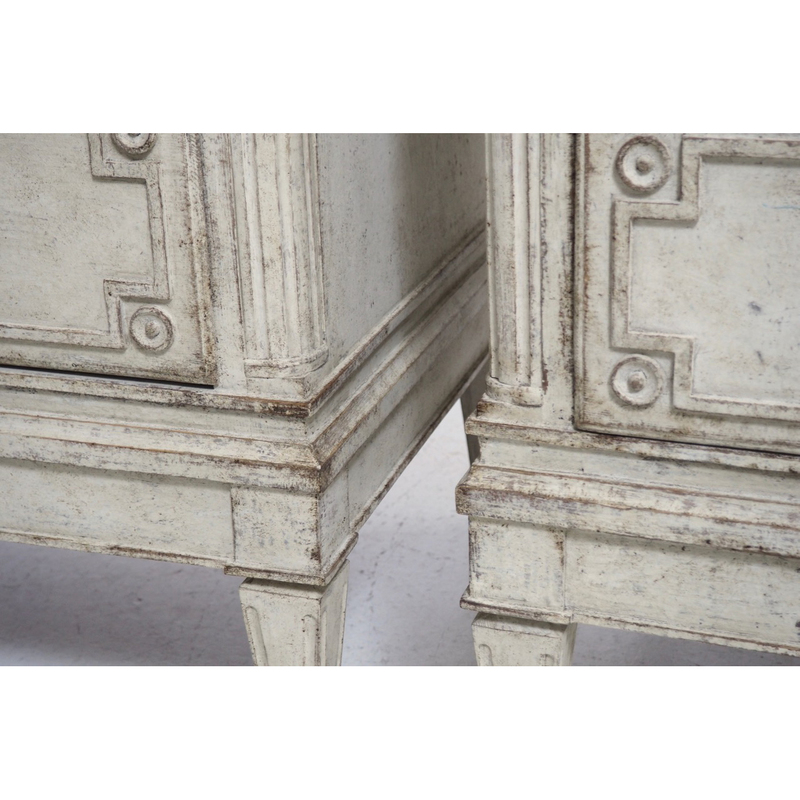 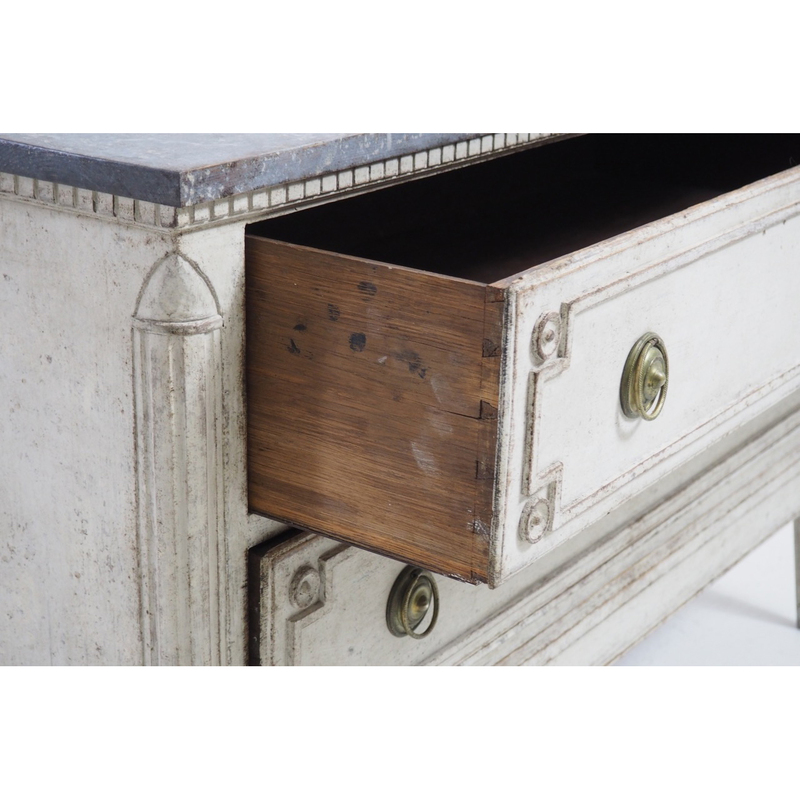 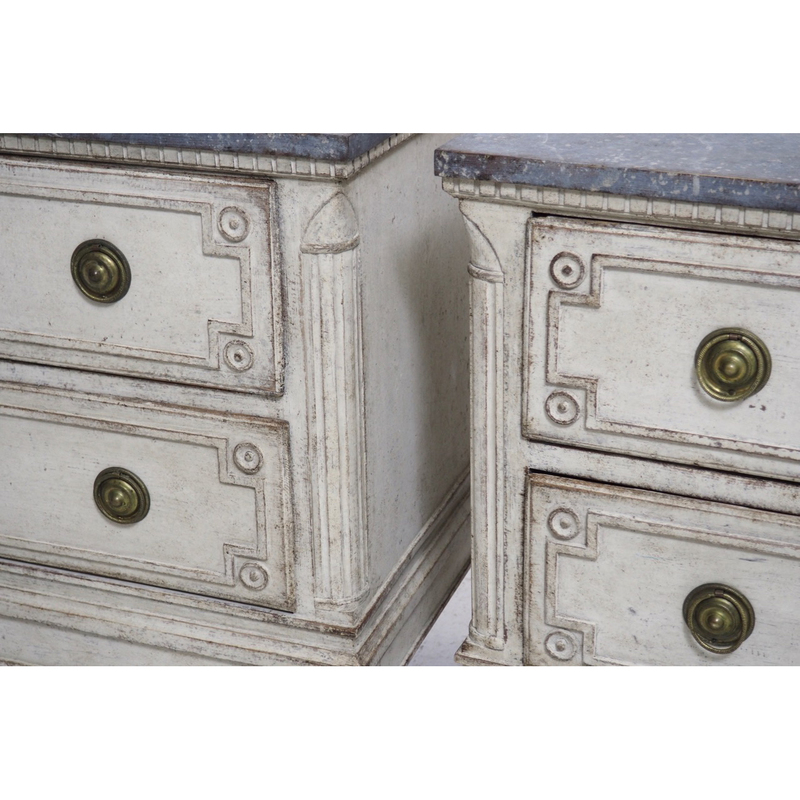 19th Century Pair of Swedish Late Gustavian Period Chests | Maison & Co.
A pair of grand-scale Swedish chest of drawers from the late Gustavian period with classic neoclassical styling, original locks, brass hardware, and hand-painted marbleized tops. 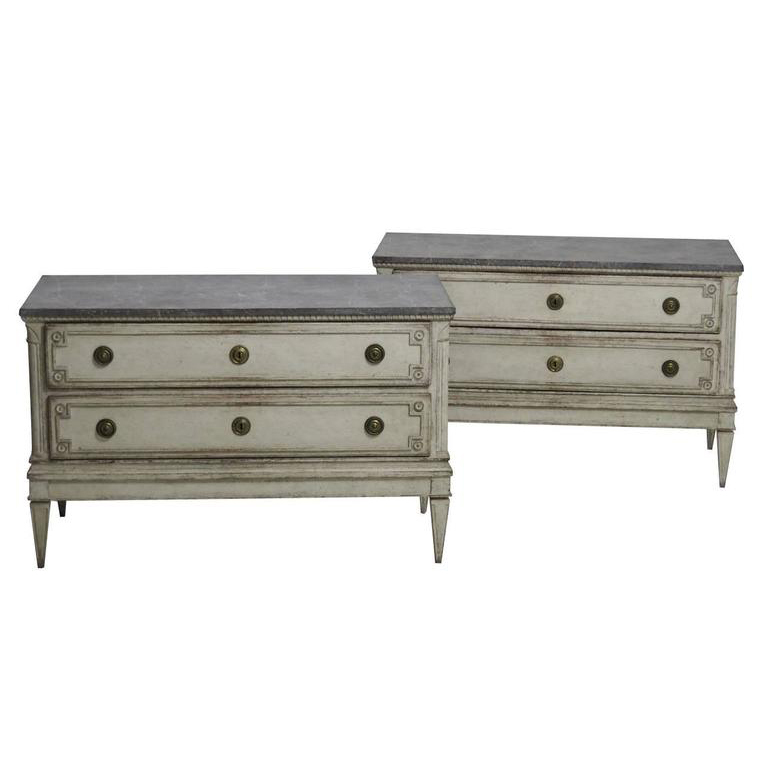 There is dentil molding around the tops with fluted corner columns and the chests rest up fluted and tapered legs. 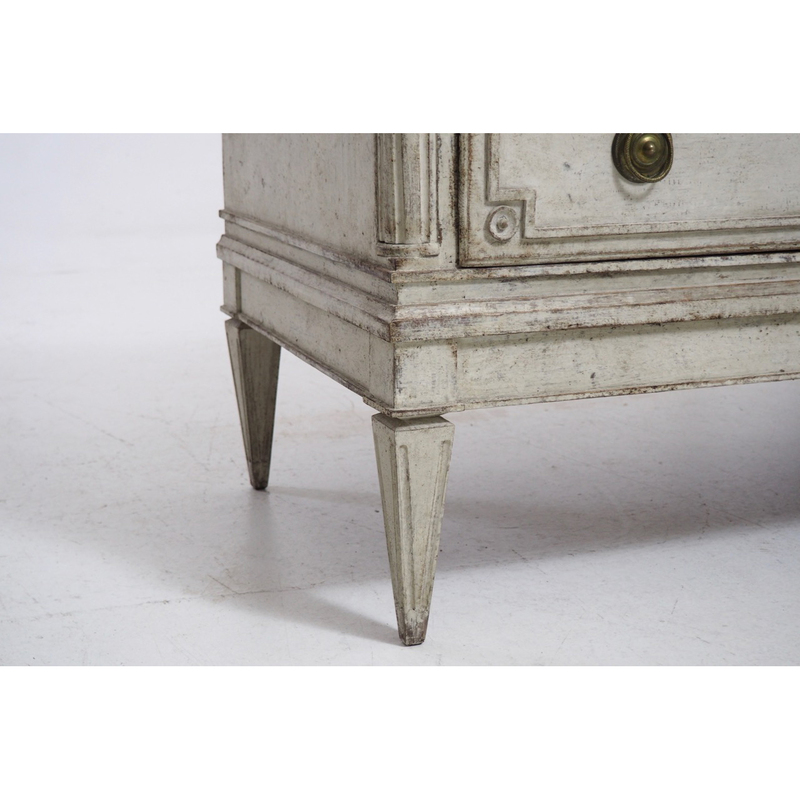 Circa 1820.